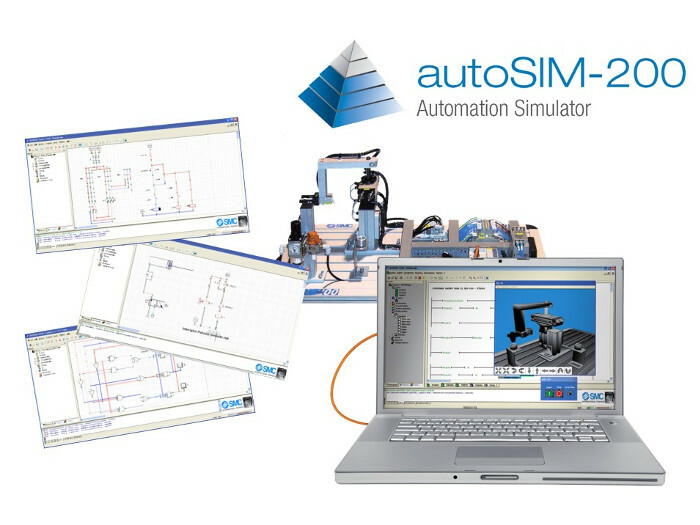 autoSIM-200 is a software for training in automation technologies that allows the user to try his/her programs on the virtual system before applying them to a physical system. This new version has multiple improvements from the previous one. This software includes objects for the pneumatic and electric circuit creation, which can be exported to AutoCAD. Enter in the autoSIM-200 page and download the new version.